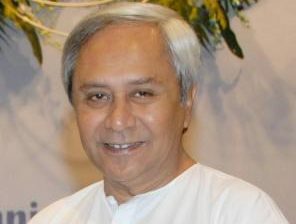 Bhubaneswar: Odisha Chief Minister Naveen Patnaik on Saturday requested Prime Minister Narendra Modi for reorganisation of railways in Odisha and unifying the railways in the state under administrative zone- East Coast Railway (ECoR), Bhubaneswar. The Chief Minister’s request came after the Railway Ministry announced bifurcation of ECoR to create South Coast Railway (SCoR) headquartered at Andhra Pradesh’s Visakhapatnam. This will be formed by cariving out a part of ECoR’s Waltier Division. “As the Government of India has created the SCoR considering the geographical area of the state, the similar demand of Odisha may be considered likewise,”said the Chief Minister in a letter to the Prime Minister. He also sought the intervention of Modi to declare two new Railway divisions at Rourkela and Jajpur to unify railways in Odisha under one administrative zone. “Till such time, I would request in the interest of the people of Odisha, not to operationalise the declared SCoR at Visakhapatnam which has been done without consultation with Odisha,” he added. He said an efficient and strong Railway network with a single administrative structure within the state is necessary to maintain the impetus of growth. “The commitment of my Government to Railway Projects stands today in excess of Rs 5000 crores, signifying our focus and priority to this sector,” said the Chief Minister.